Clearing the energies in your home or business is an important aspect of creating a harmonious environment. In addition to the smudging, I use different methods to clear negative and stuck energies. What results can you expect from a home energy clearing and smudging? After a house clearing, people typically report to have a better sleep, feel more at peace and happy in their home. If there has been a dramatic event in the house, or turbulences in the family dynamic, those get immediately transformed and healed. In a work environment, teams function better together and visitors often comment about something having been deeply transformed, without knowing what has happened. There is a definite sense of lightness in the whole space, and whichever difficulties the company or business may have experienced will have a much greater chance of being overcome. The type of clearing I do is really deep work, often involving journeying, in addition to smudging and energy clearing. It is guaranteed to last for the years to come. Why should you consider energy clearing for your home or business? A house (or an office or a store) is like a sponge. Whatever transpires in your environment is absorbed into the walls, furniture, carpet, ceiling, and objects. Frequently, these negative energies accumulate in the corners and tucked away places. Energy debris can be a result of negative emotions, thoughts, occurrences, and stress that you (your family, your co-workers) have experienced in your space. If you had a negative event happen recently or a lot of sadness or fear, there is a high chance that your space will have absorbed some of that energy. At times — in particular for older houses or houses (and offices) that have been occupied by other people before you — those energies can have accumulated over time and be connected to tragic events that you have no idea about. Without talking about the land itself, that can carry energy from generations before us. Of course, clearing clutter is the first step in clearing any space. But the second step is to smudge the whole space and remove the energy debris that have been built up over time. Once this is done, the energy of the space lifts, brightens, and circulates freely. At times, I will need to journey to clear and transform things at a much deeper level. Once the work is done, everyone in your household (or team) feels better. When should you consider energy clearing for your home (or business)? Why would you request the service of a shaman to clear the energies at your home or business? 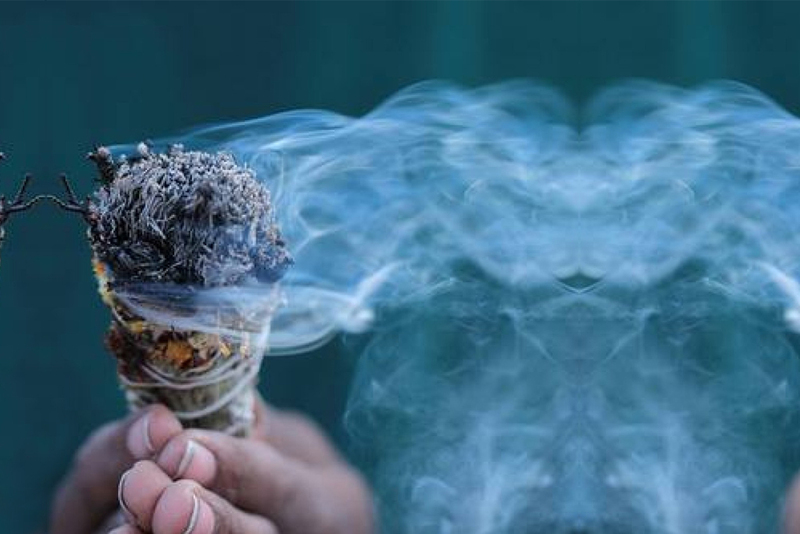 Whereas smudging (with white sage) can be sufficient to clear most negative energies, some of the above situations can require specialized skills, including journeying. When I go clear an apartment, a house, an office or a store, I assess the whole area very methodically and don’t leave the place until everything is absolutely clear. And I will always start with the surroundings (the land, at times the neighborhood, etc.). I am very discrete and low key in the way I work, so your neighbors won’t be worried. The whole process usually takes a minimum of two hours (sometimes more if there is a lot to clear) and people who have received this service always report that it has benefited as a healing for the entire family / team. Most clients choose to follow me while I do the work (kids particularly love the process! ), which I really recommend you to do. 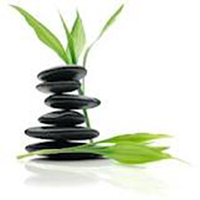 I will show you what I do, give you feedback as I go, empowering you to do the work yourself in the future; I will also give you some advice to ensure that good life-force energy is restored and maintained in your home and its immediate surroundings; some of them are based on the principles of feng shui. Those advice will help maintain the effects of the clearing over time. What does actually happen during a space energy clearing? Then, I start start with the surroundings (the land, the garden, at times the neighborhood, etc.). I am very discrete and low key in the way I work, so your neighbors won’t be worried, but I need to clear what’s around first. Then I start clearing the outside of the house or building, going around very systematically, as much as I can. If I can’t go around, I find alternatives. I won’t start clearing inside a space before the outside has been completely cleared. Then, I do the inside. I assess and clear very methodically every single room, office or space. And I won’t leave until everything is absolutely clear. During that process, I may receive information about what’s going on and what might be needed so that you resolve the situation that you may be facing. At times, I need to do a quick journey to get more information. I may also give some feedback / advice on what to do in the space to help (to give you examples: in two recent cases of houses having just be bought, I alerted the new owners to structural issues that they did not know about and that saved them a lot of money and troubles down the road; I also routinely give advice on how to better organize the flow in the space and implement principles of feng shui so that individuals who interact in the space, live or work, do so with more ease). I always leave the client with very concrete recommendations. When the occupants of a house or an office staff are present, the whole process often become a collective healing process. But participation is always optional. I can also do the work on my own. Depending on the circumstances and the client’s desire, I may offer to close the process with a small blessing ceremony involving everyone present on site. Not sure of what you need or where to start? The house immediately felt much lighter and much more like our own. It was rather odd, actually; after Beatrice left, and for the next couple of days, I would feel a warmth across my back and shoulders as if someone was putting their arm around me when I was in the house. I have no idea why that was, but it was absolutely lovely and so unexpected. I had the pleasure of meeting with ​Béatrice not too long ago. She is such a kind and warm person that I immediately felt she was a perfect fit for our needs. My family has had our home for 15 years now and these last five years we have had some very difficult times. The energy in our home had become very negative and heavy. It had gotten to a point where we were unhappy and uncomfortable in our own home because of the hardships we had experienced and the negative energy of others, which ​Béatrice immediately tuned into without my bringing it up. Meeting with ​Béatrice and having her come to cleanse our home was one of the best things that we could have done for ourselves. With all of our stresses, difficulties, and illnesses we had reached a point of desperation. ​Béatrice’s analysis of our home and our situation was so spot on that we were absolutely astonished. She was so thorough and patient that I felt very much at ease and immediately felt a calmness with her presence. Ever since she cleansed our home we have had a sense of utter peace. We have been trying to sell our home for the last two years and I am very happy to say that we finally feel as if we are on the right track and have the right energy and a real possibility of selling this time. I am so excited for the opportunities at which this cleansing has opened us up to and moving forward from the dark times that we had endured. I cannot recommend ​Béatrice more for any and all of your needs concerning your family, yourself, and your home. She is a miracle worker and she is kind and extremely empathetic to boot! My family is already planning on using her services for individual healing and cleansing purposes and are also planning on using her again for whichever new home that we purchase. Thank you so much again ​Béatrice for everything that you have done for us, you are a blessing at which we will always be grateful for. Access the most powerful practices and techniques that I have developed and applied over the past 30 years to support body-mind-spirit transformation. 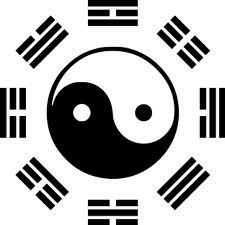 They draw upon ancient wisdom that can be found in all traditions, combined with the results of the latest research in psychology and neuroscience. So that you know why they work the way they do.